IMG00014.jpg, originally uploaded by ultraclay!. I can't say I'm particularly happy that summer just blew by this year. With so much going on, I didn't get nearly enough time to relax outside and enjoy the season. But with September here, there are some benefits to cooling weather. 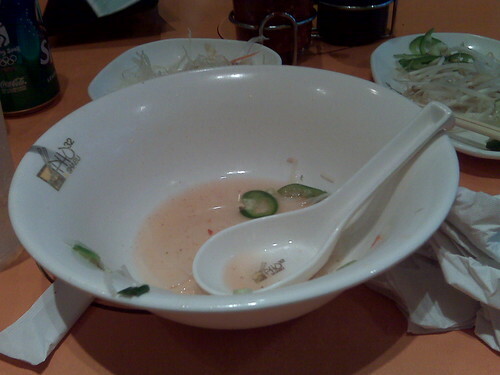 I took advantage of today's dank and rainy weather to tuck into a nice bowl of Pho from Pho 32 in Koreatown. I came across it late in the spring and couldn't bring myself to have soup when it was upwards of 80 degrees out. So, this was my first opportunity to return. 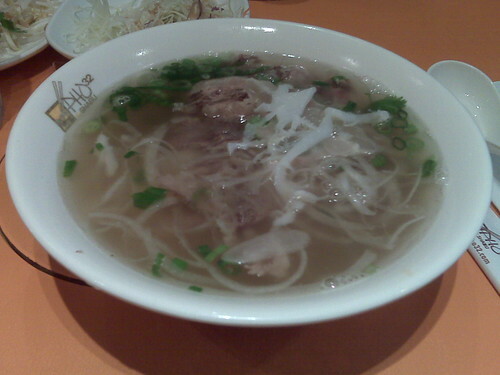 This bowl, the number 4, I believe, has thin slices of beef brisket, flank, tendons and tripe along with noodles. All the different textures of meat and the rich broth were incredibly gratifying. If nothing else, I now know how I will survive the winter ahead. Self-Promotion: Something I Ate - Tonight! A walk through the cemetery. Recalling Recoleta for Halloween.